In recent years, there’s been a bunch of reissues of Turkish pop and rock music from the 60s, 70s and 80s. Now Uzelli is licensing a motherload of material: its catalog of over 1300 cassettes originally released in Germany for the Turkish guest worker/immigrant market. 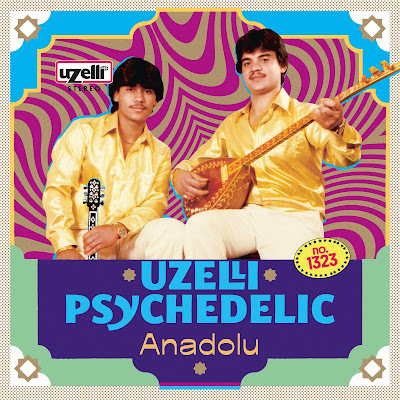 This compilation, curated by Polish DJ and anthropologist Komelia Binicewicz, focuses on Anatolian rock (Anadolu), the psych and funk-influenced sound of the 70s and 80s that featured Turkish instruments like the baglama saz (long-necked lute) electrified so they can stand up next to guitars, drum kits and Moog synthesizers, in service of Eastern melodies set to stomping rhythms. 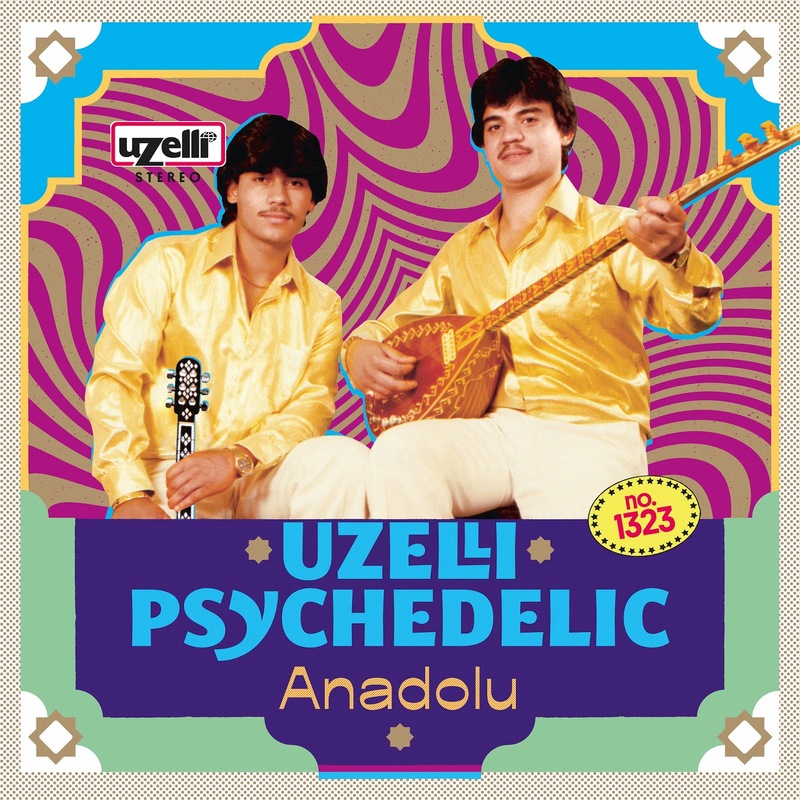 Uzelli owned the German distribution rights to lots of famous Turkish artists, but the most exciting items here are by the unknowns: the proggy-folk of Zor Beyler (track 2); two film actresses, Elvan Sevil (6) and Nese Alkan (9) who made only a handful of recordings; trippy “extreme wedding duo” Akbaba Ikilisi (7); and a beautiful version of the folk song “Deniz Ustu Kopurur” that sounds like Fairport Convention (8). This title is right up there with the best Turkish reissues I’ve heard.